The naturally beautiful region of Gschwandtkopf is located in the amazing ski resort of Seefeld, Tirol in the Austrian state of Tyro. 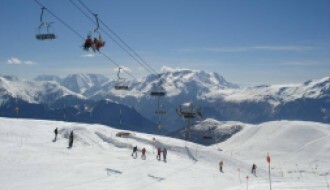 At its peak, it is 1,495 metres high offering an array of snow sports opportunities and awe-inspiring views. With a friendly local culture and a range of skiing opportunities, including child-friendly slopes, cross country skiing and an Olympic village, this is a fantastic location for those wishing to invest in a holiday property in a varied and friendly area. The area was once reserved for farming and its small local population in Tirol is just over 3,000 people. Now it is a popular tourist destination with a bustling, lively atmosphere. As an alternative to some of the more well-known skiing locations, it offers a lovely balance between lively social opportunities without the slopes becoming too busy and crowded. 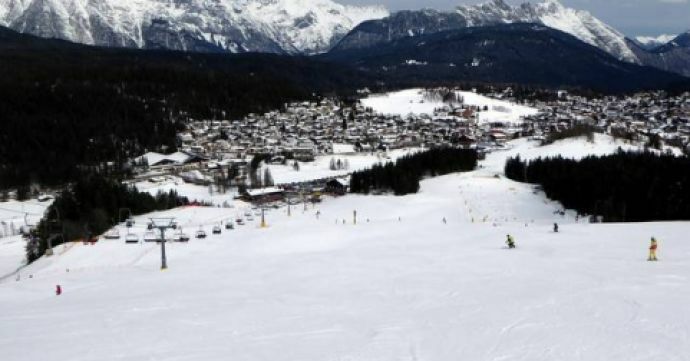 There is still plenty of opportunities to invest in this up and coming resort as it continues to expand, as more skiers discover its fantastic slopes. For a relatively small resort, Gschwandtkopf has a lot to offer. There are plenty of hotels, resorts, spas, bars and restaurants to keep you busy off the slopes. Woods Kitchen and Bar offers contemporary dining with plenty of log burning fires and a truly cosy feel. Plangger Delikatessen Seefeld also offers a wide range of local delicacies including locally bred and cured meats and local pastries and bread. There are also a number of stunning nature reserves and parks in the area, within a short drive of Gschwandtkopf. Those who perhaps don't ski or would like to make the most of this beautiful region during the summer months will find Seefelderjoch Bahn and Wildsee to be of particular interest. In these wonderful parks, you can hike a variety of routes suitable for all levels and if you are lucky you can see local wildlife as you hike. Animal lovers of all ages will also be pleased to discover Tiroler Bio Alpakas where you can go on an Alpaca walk and meet these beautiful animals. It will certainly be a change from the bustling slopes and is a great opportunity for families with young children to do something different while in the area. Gschwandtkopf has fantastic skiing and is becoming ever more popular with snow lovers in the know! From March onwards weather tends to be above freezing with good levels of snow. The best skiing days occur between November and March, although there is potential for skiing throughout most of the year. Most months have Bluebird Powder days where the snow is freshly fallen but the skies are blue and there is plenty of sunshine offering the best views possible. In December there is an average of 13cm of snow, in January there is usually 21cm, in February there's 15cm and in March there's 12cm. 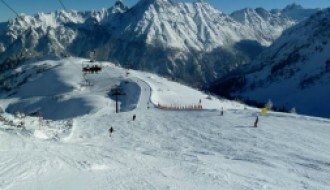 For up-to-date snow and weather reports take a look at our Gschwandtkopf ski resort guide here. The most popular cross country skiing trail will take just over three hours to complete and is of moderate difficulty. It offers amazing views of this beautiful region and plenty of opportunities for some action-packed skiing. There are mainly easy ski slopes in Gschwandtkopf and the resort has snow cannons with the potential to create artificial snow if the weather report isn't playing ball. There are 8 ski lifts within the resort. Those looking to invest in the area won't be disappointed with the wide range of things to do in Gschwandtkopf, places to eat and bars to socialise in. The local culture is friendly and welcoming while the growing property market is ripe for investment. Investments in the area are also picking up as the resort grows, with a system for transporting bikes in chairlifts being added to enable for easier travel around the mountain in the warmer, summer months. 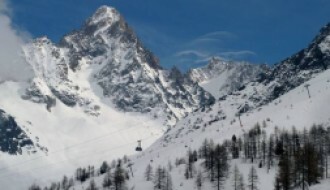 This beautiful region has great transport links though many skiers prefer to drive to the area so that they can bring as much specialist equipment with them as they like. If you prefer to rent equipment there are plenty of options in the area to do so. The other option is to travel by bus from nearby Neuschwanstein and bus tickets are extremely affordable. For as little as £10 you can reach this fantastic destination. We would definitely recommend the high Alpine drive to the region which offers some of the best views in the region. As you arrive, you'll get a great view of all that the area has to offer, including those fantastic slopes.